The words “Special Assessment” are dreaded in Condo life. A Condo Association Special Assessment means the community is having financial troubles and is out of money and needs to get money out of the normal budget cycle – hence the “special” in the name. For a quick primer on financials, check out my Financials 101 article. For a deep dive on Special Assessments, click here. What causes a Condo Association Special Assessment? The root cause is bad financial management, which is most often from a failure to correctly project and fund reserves. The failure or imminent failure of the most critical and expensive life safety systems – things like fire alarms, plumbing, roofs, HVAC, etc. – is usually the triggering event. But as you’ll recall from Finances 101, a good Association should be planning for these events and have money in the bank. Sometimes Associations don’t plan at all. Other times something unexpected or catastrophic happens, or sometimes a series of little things add up to put the Association in a bind. At times it might just be completely out of the Association’s control – a newly formed Association may be too young to have accumulated enough reserves and is suddenly faced with an unexpected issue. This is eerily accurate. If you add a few 0’s anyway. How does a Condo Association Special Assessment work? Special Assessments are outlined in your bylaws. In general, there often is a certain threshold of money that can be assessed by a Board vote without Owner approval. This number can be low – maybe a couple of months worth of regular Condo fees. In other cases, it can be quite high. For example, I know of one building where the amount is up to $15,000, with the number $15,000 specifically defined in the bylaws. This authority is often used if there is a smaller sum of money needed for a critical item – maybe an HVAC system is nearly dead, and the Board can raise the money to ensure continuous HVAC service. For amounts over that threshold, Owner approval is required. Again, consult your bylaws for specifics, but a two-thirds vote of a quorum – which is a defined subset of owners who show up to a meeting – is often needed. This is where things start to get tricky. When a vote is required, Boards have to convince Owners there is a need for the money. If the Board can present a rational, compelling case, they can prevail, but Boards need to be effective communicators. An example of when this might occur is if a Board has a decaying concrete garage, but the failure is not imminent, but the cost exceeds the amount that can be assessed without a vote. However, if allowed to continue to atrophy for too long, the costs will rise substantially. The Board would have the time to bring the issue to a vote and save money in the long run, but the Owners would need to approve it and think long-term enough to realize paying some money now is better than paying a lot of money in a few years. Another avenue for Boards to raise money is Emergency Assessments. Depending on the jurisdiction, in severe cases that pose imminent threats to safety, a Board can assess large sums without a vote. An example of this might be if the roof was literally blown off and the Board doesn’t have the money to fix it – and the amount exceeded their authority to assess without an Owner vote. This would be case where they would use emergency powers to raise the money. However, further complicating the situation, Owners could hypothetically sue to block the Assessment, claiming it was not a legitimate emergency. In this case it’s unlikely Owners would sue to stop such an Assessment and nor would they prevail. But this showcases the gray areas that are less clear – what if the roof was 10% failing but only affecting two units out of 100, and then only sometimes? For those two units, it would seem an emergency. For the other 98, perhaps not. A major tip for Owners before buying a Condo is to understand how much money can be levied on them from a Special Assessment WITHOUT a vote. If it is a larger sum – like $15,000 – make sure you’ve got that money in your personal savings so you aren’t caught off guard. Can I stop a Condo Association Special Assessment? When people find out they need to pay a lot of money, or might need to pay a lot of money, sometimes they want to stop it at any cost – in fact, this is often a natural first reaction. People want to know if it can be stopped. The first answer is – do you really want to stop the Assessment? If your plumbing system is dying and springing leaks that do damage constantly – why stop that repair? The next answer is – from a procedural standpoint, Assessments can be very difficult to stop. If they’re under the amount where a vote is required, your Board has the power to carry out the Assessment. Depending on your jurisdiction, you might be able to sue and slow things down. Alternately, if the amount is such that a vote is required, you certainly can campaign against the effort, but understand that the Board is likely not Assessing without a reason. Delaying maintenance likely will come at a future cost. What you do need to do is hold your Board accountable as to WHY they are Assessing you. Boards must be transparent and open with their members. Conversely, make sure you stay informed by being a good Owner – if you don’t show up to meetings where the issue is discussed, you’re not doing your job either. Gandalf could stop a balrog, but he can’t stop a condo association special assessment. Is a Condo Association Special Assessment Bad? Yes and no. Yes, because something bad and unexpected has happened – if your reserves are so low that you’ve been forced into a Special Assessment, that’s bad. It will mean unexpected financial burden on Owners, and that’s also bad. But on the other hand, it means, presumably, the Association is fixing the problem. Whatever is broken is being repaired, which means an increase in quality of life. In some cases, with infrastructure which degrades (like roofs, facades, anything concrete, etc. ), repairs sooner than later may be more cost effective in the long run. One rule of thumb I’ve heard repeated by many real estate professionals is that a single Special Assessment doesn’t mean much, but repeated Special Assessments indicates mismanagement. This makes sense. If a Board hasn’t changed up their business following a Special Assessment, they’re failing their duties. 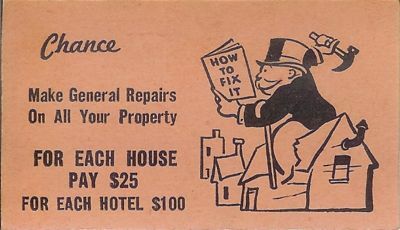 Another important factor to keep in mind is that whatever is failing and in need of repair will be, by law, disclosed to prospective buyers. Having a building with major issues that are not remediated has the potential to scare off buyers and potentially lower property values. 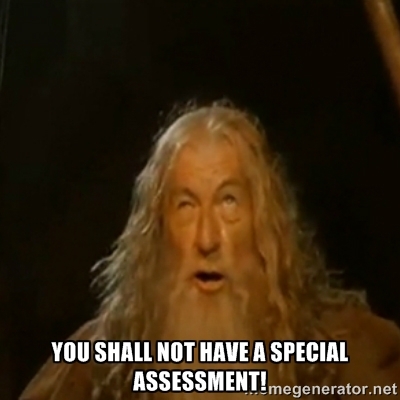 Special Assessments are a painful process. However, to maintain a safe and secure condo Association, sometimes they are necessary. Learn more about the Special Assessment Process here.